Interport’s 10-foot standard steel shipping containers are the perfect solution when storage is in order but space is an issue. 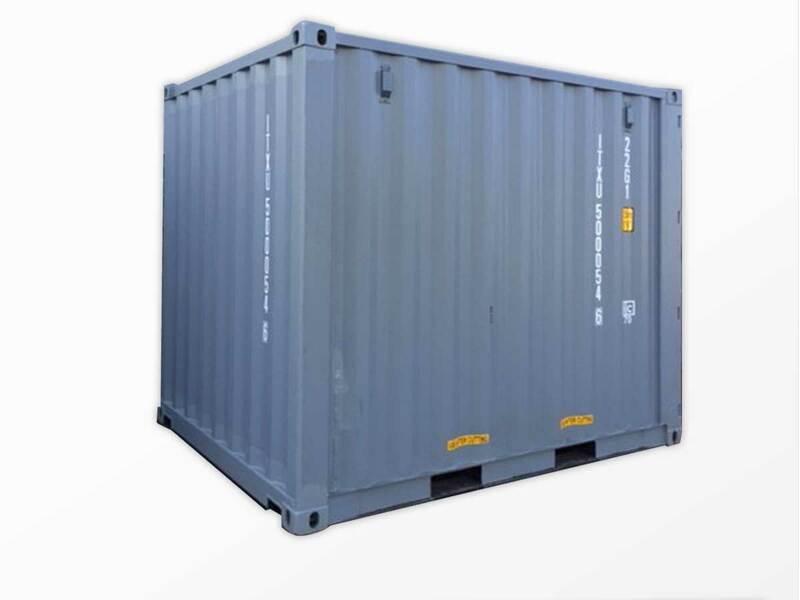 Our 10-foot dry containers are the smallest-sized standard shipping containers, offering about half the storage capacity of a one-car garage. Their compact dimensions make 10-foot shipping containers popular for urban sites. For storing equipment, supplies and inventory, Interport’s 10-foot dry vans are also an excellent alternative to sheds. Interport offers the Northeast’s largest selection of high-quality new and used 10-foot standard shipping containers, available for immediate sale and next-business-day delivery from our depot in New Jersey. Length: 10ft. Length: 9ft. 2in. Width: 7ft. 6in. Gross: 22,400 lbs. Width: 8ft. Width: 7ft. 7in. Height: 7ft. 4in. Payload: 19,530 lbs. Height: 8ft. 6in. Height: 7ft. 8in. Tare Weight: 2,870 lbs. Length: 10ft. Width: 8ft. Height: 8ft. 6in. Length: 9ft. 2in. Width: 7ft. 7in. Height: 7ft. 8in. Gross: 22,400 lbs. Payload: 19,530 lbs. Tare Weight: 2,870 lbs.